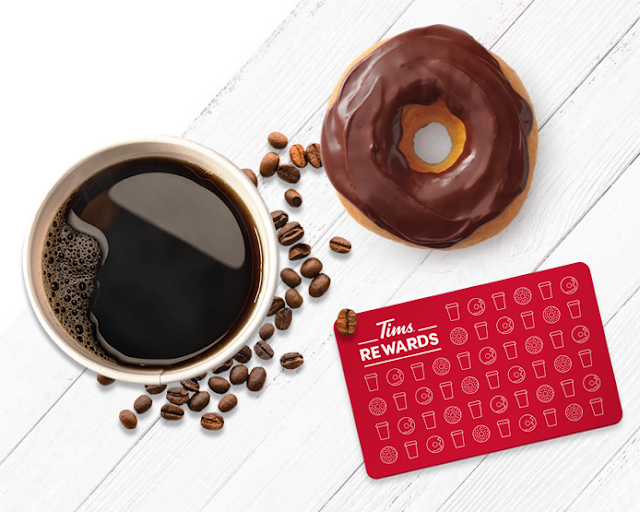 Tim Horton's has officially launched their loyalty program Tims Rewards. You can tell its modelled to compete with one of their biggest competitors, McD's. The program is simple, make 7 purchases, get 1 item free. The free item is limited to a coffee, tea or baked good. Ideally if you want to maximize the program you'll want to just buy lower priced items however you won't be able to do split purchases like the old Starbucks MyRewards program as there is a 30 minute time span in which you have to wait before scanning your Tims card for another purchase. Also purchases under 50 cents won't count towards a reward. Also of note is that unused rewards expire after 120 days and you can only bank up to 5 rewards on your account. You can find more about the Tim Rewards program here.